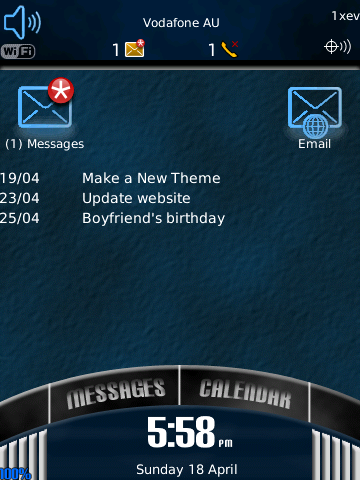 BlackBerry Theme Roundup for April 19th - 50 Copies of StylishBB to be Won! Contest: 50 Copies of StylishBB to be won. Leave a comment! Welcome back, theme junkies! We're back with an all new batch of fresh themes for your viewing pleasure. We'll keep the intro short this week, and just get into the goodness. Click through the link below to read on. Our top pick for free non-touchscreen is Reciful by DReW15. Bringing along some 85xx love this week, this theme has everything you could want from a premium theme, but it's free! Featuring a weather slot, today preview area, and a hidden dock with 7 icons, this homescreen packs plenty of function into your homescreen. Fully skinned, and chock full of custom icons, this theme employs a very different wallpaper and colour scheme for a darker, gothic feel. Our next pick is StylishBB. Another entry from our friends over at BBFreaks, this theme puts 8 icons on your homescreen in a dual side-bar layout, and all are user-customizable. 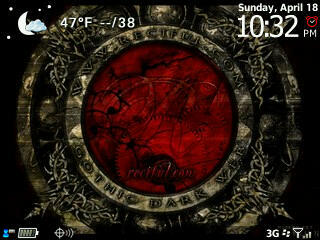 Add the hidden today, and a fully skinned, stylish look, and you have a great eye-catching theme for your BlackBerry. As an added bonus, you have access to the lock function through a hidden hotspot disguised as the lamps on the homescreen. It is on sale for $3.99 until April 30th. Contest: We have 50 copies of StylishBB to give away. Just leave a comment on this post to enter. Contest ends this Sunday at Midnight PST. Please only leave one comment, multiple entries wont count. That concludes our roundup for this week. 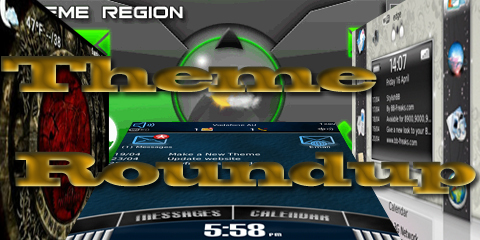 We hope you enjoyed it, keep those tips and suggestions coming to our email, themeroundup@crackberry.com!